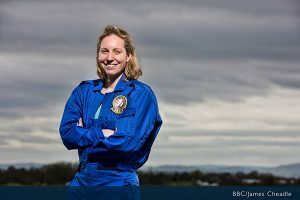 While many school children may dream of becoming an astronaut, Dr Suzie Imber, a former Berkhamsted pupil, has taken a giant leap towards perhaps the most demanding career in the universe. Having battled a series of gruelling physical, psychological and intellectual tests against 12 exceptional candidates, Suzie was named the winner of Astronauts: Do You Have What It Takes? Dr Imber will now receive a recommendation to join the European Space Agency. Joining Berkhamsted in 1990, Suzie had shown a keen interest in Space from a young age. During her 11 years at the School her achievements included a Lacrosse National title 2000 together with teammate Jo Vila (now our Director of Sport). Dr Imber said: “I think that performing at a national level in multiple sports, combined with a PhD and a decade of research experience, allowed me to perform consistently well throughout the programme. This type of selection process requires physical and emotional resilience, as well as testing both intellectual capacity and natural ability over a broad range of skill sets. 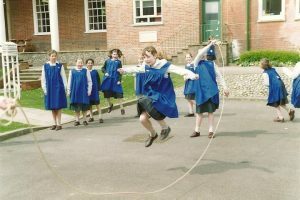 Berkhamsted Girls Headteacher Liz Richardson said “She was a pupil who relished challenges inside the classroom and in her extra-curricular activities. Her determination is reflected by many of her achievements at School and her education and career thereafter.” Mrs Richardson had taught Suzie English during Sixth Form. Dr Steve Redman, Head of Physics said “The BBC Two series has captured the imagination of millions of viewers across the nation and Suzie, and being Old Berkhamstedian will be a great inspiration to our pupils. What did it mean for you as a scientist to be able to take part – and then reach the finals – in the BBC’s Astronaut series? This process has allowed me to take one more step towards actually going to space and doing science up on the international space station, or even on Mars! As a space scientist that’s such a dream for me, and that dream seems much closer now than it did before. Having been on the show I now have a unique opportunity to talk about space, and science, with young people all over the country. I aim to visit as many schools as I can to encourage the next generation of students to study science and show them that with hard work and a splash of good fortune, they could be the astronauts of the future. Have you always pursued a passion for sport alongside your academic work? I played tennis, squash and netball as a child, and I started playing lacrosse around the age of 11. The ethos at my school was to train hard every day, sometimes multiple times a day, and I loved the routine right from the start. We won the national championships in my lower sixth year, and many of us went on to play internationally. Those early years of discipline stood me in good stead for the rest of my life, and I’ve never had a problem motivating myself to get up at the crack of dawn and go training. I love the feeling of getting to work really early, knowing I’ve already completed a training session. When I moved to Leicester for my PhD I took up rowing, and continued that through my time at NASA. Rowing requires a remarkable level of self-discipline (getting up at 4:00 am every morning, to say the least) and I thrived on the team spirit and the hard work ethic of my club in Baltimore. What spurred your passion for space science – and did you always dream of being an astronaut? My parents did engineering and maths at University, and they encouraged my twin brother and me to have a keen interest in science from an early age. James (my twin) is now a neutrino physicist, and I’m a space scientist, so their interest clearly rubbed off on us. As a young child I wanted to be an explorer rather than an astronaut, and I was fascinated by stories of early 20th Century exploration in the Antarctic. That passion for exploration has been with me for my entire life, hence my mountaineering expeditions to the most remote regions of the planet. When I became interested in space I realised that astronauts are the contemporary equivalent of the early explorers, daring to push the boundaries of our knowledge into the unknown. I would tell my younger self that it’s ok not to fit in. In hindsight, I see that my road was never going to be the straight path that others travel, and I no longer shy away from being unconventional. I used to want to be a bit more normal, but the reality is that there’s no such thing as normal, and that life’s too short to worry about things like that. From the moment I wake up (ridiculously early in the morning) until my head hits the pillow, my days are full of action. I try not to waste a single second of my time. A colleague recently told me that Neil Armstrong used to say that ‘every human has a finite number of heartbeats, and he did not intend wasting any of his’ and I wholeheartedly agree! This is a tough question. I don’t see myself as a particularly inspirational figure, but in view of the astronauts show, I see that younger people may aspire to have the opportunities and experiences I have been fortunate enough to have. I know we all remember the great teachers we have had (A-level physics teachers Dog Hughes and Doc Neeson for me!) and I would love to have the impact on others that those two great teachers had on me.